New fees to be imposed on expats and their dependents in Saudi Arabia from July 2017 will be a financial burden not only on them and their families but also on their employers, a member of the Riyadh Chamber of Commerce and Industry has warned. Ushered in over the Christmas period by the Saudi government, the kingdom’s 2017 budget report was followed up with a further document drawn up by Saudi officials that revealed that expats will be forced to pay levies on money earned in the region. Abdullah Al-Maghlouth, member of the chamber’s investment and securities committee in Riyadh, pictured above, expects the fees to reach SR65 billion (US$17.33bn) by 2020 but said they would have adverse effect on the work environment in the kingdom, according to a report in local news outlet The Saudi Gazette. “The fees will have an adverse effect on the private sector including the contractors, the building material, the food and consumer products and will increase prices,” said Maghlouth. “The citizen will be harmed. This will also harm the attractiveness of the work environment in the Kingdom,” the official was quoted by Saudi news outlet Al-Watan as saying. Maghlouth added that a nationalization of jobs may be necessary and also pointed to the changes having a negative impact on the real estate market in the region as many of the expatriates may opt to leave the country with their families. “A number of offices, shops and flats will be vacated. The landlords and the realtors will suffer in this case,” he said. As reported in the Saudi Gazette, Maghlouth said that a means where expats could invest part of their salaries in special funds and to encourage them to spend part of their incomes inside the country through special mechanisms other than imposing fees on them was a better proposition than the levies. Saudi Arabia’s new “expat levy” was confirmed during the budget announcement, with charges of up to SR800 per worker to be phased in by 2020. Companies currently pay a levy of SR200 per month per expat employee, but only for expat employees that exceed the number of Saudi employees. The levies will be gradually increased year on year from next year until 2020 (see below) as outlined in the government’s Fiscal Balance Program – Balanced Budget 2020 document. 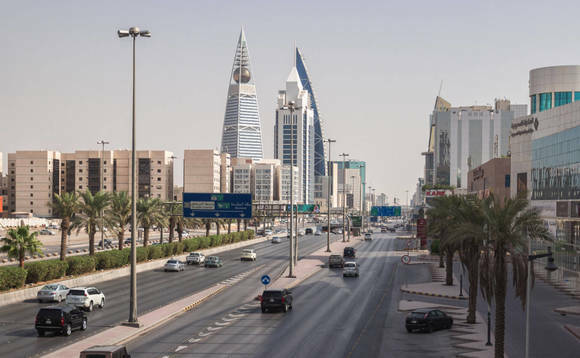 The move is part of a drive to encourage employees to hire more Saudis. For companies in which expats do not exceed the number of Saudi or GCC employees, the fee will no longer be waived, but will be charged at a discounted rate. A fee on dependents of expatriate workers will also be levied. It will commence in July of 2017, in order to minimize impact on families with children enrolled in school. Currently, neither Saudi nationals nor foreign laborers pay income taxes, and this policy will remain in place, the government says. The fees do not apply to domestic helpers, such as drivers and cleaners, but only to expats working in commercial entities.